Such garments as a black cotton blazer and burgundy chinos are the ideal way to infuse some refinement into your day-to-day routine. Up the ante of your ensemble with Steve Madden jenton cap toe derby. 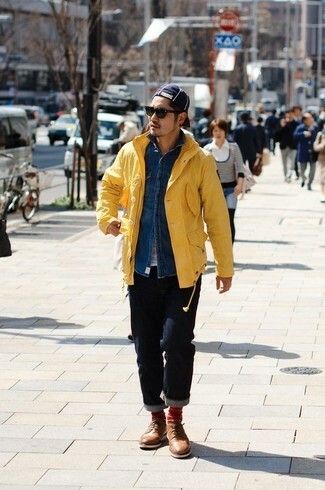 Marrying a yellow raincoat with navy jeans is a wonderful option for a casual but dapper outfit. If you want to instantly bump up your outfit with one piece, complete this look with Steve Madden brown leather derby shoes. If you're after a casual yet seriously stylish getup, marry a navy and white fair isle shawl cardigan with beige chinos. Both pieces are totally comfortable and will look great together. 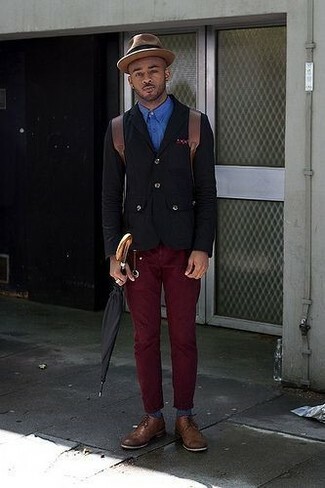 And if you want to instantly up the style ante of your look with one piece, add brown leather derby shoes to the mix. As you can see, being a dapper dude doesn't require that much effort. 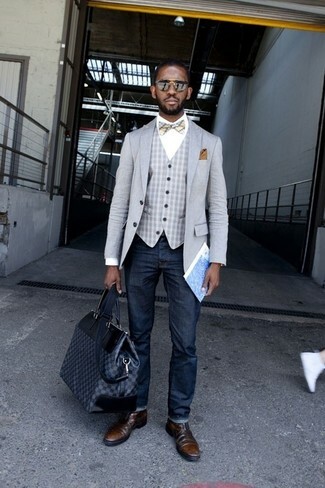 Just pair a grey blazer with blue jeans and you'll look incredibly stylish. Channel your inner Ryan Gosling and choose a pair of Steve Madden jenton cap toe derby to class up your look. If you're on the lookout for a casual yet stylish outfit, consider wearing a navy crew-neck sweater and navy plaid chinos. Both pieces are totally comfortable and will look great paired together. Got bored with this getup? Enter Steve Madden jenton cap toe derby from Nordstrom to shake things up. Pair a grey vertical striped waistcoat with grey vertical striped dress pants like a true gent. 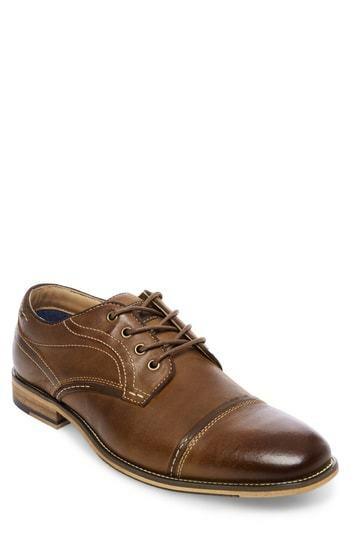 For a more relaxed take, grab a pair of Steve Madden jenton cap toe derby. 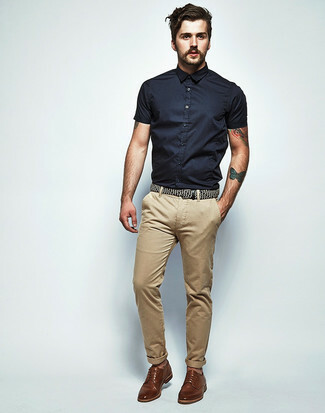 If you're after a casual yet stylish outfit, consider wearing a black short sleeve shirt and khaki chinos. Both items are totally comfortable and will look great paired together. Choose a pair of Steve Madden jenton cap toe derby to kick things up to the next level. 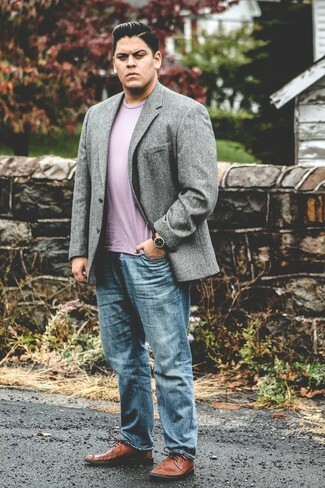 If you're searching for a casual yet seriously stylish look, consider wearing a grey knit blazer and navy jeans. Both garments are totally comfortable and will look great paired together. Amp up the cool of your look by complementing it with Steve Madden jenton cap toe derby. 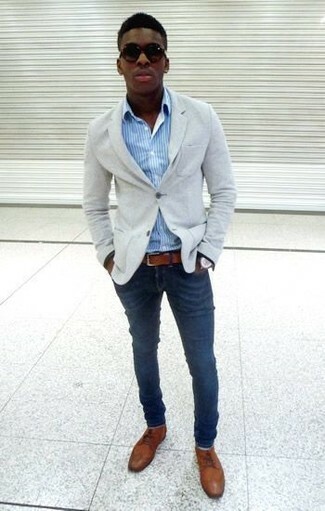 For a smart casual getup, consider pairing a grey blazer with navy jeans — these items go perfectly together. You could perhaps get a little creative in the shoe department and spruce up your ensemble with brown leather derby shoes.